We hope you find answers to some of your questions here on the subjects of prayer, Catholicism, and the network itself. 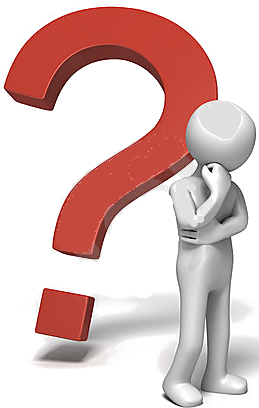 Please also submit your own question and we will do our best to respond. How do I join this prayer network? These are the Lord's Prayer and the August Queen Prayer. The Daily prayer page on this website gives more details on these prayers. It is not necessary for you to let us know that you are joining us in prayer – God knows! But it would be useful to inform network members of initiatives, succeses and news if we knew who was praying daily with us, so if possible please let us know you're with us. That is quite a big realisation, when we consider that many people don't pray very much at all. It is essential in God’s plan, in the way God works if you like, that we ask our loving Father for what we want. “I looked for someone among them who would build up the wall and stand before me in the gap on behalf of the land so I would not have to destroy it, but I found no one." This Scripture in the prophetic book of Ezekiel also confirms what the Blessed Virgin Mary made a point of explaining to Father Cestac when she dictated the ‘August Queen’ prayer, that it is one of God’s conditions for receiving grace, that we must ask Him for our needs (See Two Prayers page and ‘read more’). If we don’t ask God, there are certain circumstances in which He will not act - even if He desires to do so. Therefore it is essential that individuals and you the reader, are strongly encouraged to pray in order that God can bless our lives, our children and our circumstances. Prayer is talking to God; Asking God for our own needs is prayer of petition; And prayer of intercession is asking God for the needs of others. And who should we pray for? Dutch Sheets explains that when we pray, we shouldn’t just recite a list of requirements to an impersonal God, we actually meet with God. Prayer is a meeting with God and how lovely prayer becomes when we meet God in our hearts, giving and receiving love from Him as we pray. “Jesus spoke of heaven meeting Earth when He exhorted us to pray: “Thy will be done on earth as it is in heaven” (Matt.6:10). Christ was revealing that the God-ordained purpose of prayer is the connecting of heaven and earth, allowing Him to marry the two, making His plans, purposes and destinies a reality in the hearts of people. “This is the purpose of intercession: create meetings. We meet with God (prayer meetings are appropriately named), and through this meeting He meets with others. One meeting leads to another. Because God is so relational, it shouldn’t surprise us that “to meet with” is one of the fundamental meanings of the word paga. “Everything changes when we meet with God. “If our first motivation in prayer is to get our needs met, prayer will simply become a way of ‘using’ God. He will be a convenience, like the store on the corner. “Similarly, if my primary motivation for prayer becomes interceding for others, this too will ultimately fail as a motivator. This desire to meet God’s need for intercessors, as well as to meet the needs of others is noble. But whereas the first motivation deteriorates into ‘using’ God, this one will eventually result in a motivation-killing sense of feeling ‘used’. “Prayer and intercession should be all about friendship, relationship and partnering with our wonderful Father. "Jesus reminded His followers that the greatest commandment of God was to love Him, then to love our neighbours as ourselves (Matt.22:37-39). This isn’t because God is so egotistical and selfish that He just has to be first. Rather, it is to assure us that He wants a loving relationship with us more than He wants our good works. God wants us to pray so that His will for someone may done - so either praying the prayers that He taught us, especially the Lord’s Prayer, or to seek His desire for a particular situation and pray what He wants prayed, are amongst the most powerful prayers that can be made. If we stop and ask Him what to pray for in any situation, He will often show us in our hearts how to pray. Mat 7:7,8,11 'Ask, and it will be given to you; search, and you will find; knock, and the door will be opened for you. For everyone who asks receives, and everyone who searches finds, and for everyone who knocks, the door will be opened. … If you then, who are evil, know how to give good gifts to your children, how much more will your Father in heaven give good things to those who ask him! So, as Andrew Murray encouraged us above, let us reverse the ineffective trend of the Church’s powerlessness and pray more than we work, since with us asking God to help us, our progress will be so much more effective: He even blesses us while we are asleep, without striving too hard. As an astute priest once said " When you stop praying, coincidences stop happening." We must pray then, not as a chore, but as enlightened self-interest. And in order to pray let us meet lovingly with God and then ask Him to bless us and those others we would like God to bless. Isn't it presumptous to use the term 'Mary's Heel'.....And why did this start in Wales? Well surely this is exactly the Nation to use this title first, especially since many of us in Wales have already been praying literally “for Mary’s heel to crush the head of the Serpent, the Red Dragon of Revelation” over Wales for some time now? It is possible that the collective model of this ‘Mary’s Heel’ Intercessory Network may be adopted by other Nations to spread this powerful model against evil wider afield. If this were to take place, then for it to have started in Wales would indeed, be to make the Red Dragon of the flag of Wales, a battle trophy for God to parade beneath His Glory and signal the Triumph of Mary’s Immaculate Heart arriving with the imminent demise of Satan and his evil tormenting hordes over the world. "And having disarmed the powers and authorities, he made a public spectacle of them, triumphing over them by the cross." How is the Rosary used in prayer? Blessed are you among women and blessed is the fruit of your womb Jesus. Luke 1:28 "And the angel being come in, said unto her: Hail, full of grace, the Lord is with thee: blessed art thou among women." (DRB). Luke 1:42 and [Elizabeth] exclaimed with a loud cry, 'Blessed are you among women, and blessed is the fruit of your womb". Jesus is God in the flesh and Mary is His mother. So she is the Mother of God in terms of his incarnational presence. Mary is clearly is not in any way, the origin of God. This phrase is used as an appreciation of how God has blessed Mary and certainly not as a statement of divinity or comparability with God. Having explained the Hail Mary prayer, let us look at physically praying the Rosary itself. Firstly, the Rosary is essentially a circle of beads arranged with varying spaces between the beads, so that they are arranged in groups of ten, with a single bead separating each cluster of ten. To say a decade of the Rosary, this entails one Our Father on a single bead, followed by ten Hail Marys and a Glory Be. The beads then are essentially to help in counting, and fingers could also be used. The Glory Be prayer:“Glory be to the Father and to the Son and to the Holy Spirit. Amen." Before beginning a decade, a Scripture or Heavenly event is announced, called a 'mystery' to be meditated upon. Each of the ten beads is used to count the saying of one Hail Mary prayer. However, while actually saying the ten Hail Mary’s the person should be meditating on the Scripture episode or event in Mary’s life, which was declared on the single bead, before starting the ten repeated prayers. The other parts of the Rosary to explain, is the little tail which hangs off the circle of five decades. The end of the tail is usually a cross, then a single bead; then a cluster of three beads and another single bead. On the cross is said the Apostles Creed; then the Lord’s Prayer on the single bead; three Hail Mary’s on the three beads, then a Glory Be on the final bead, before announcing the Mystery to be meditated upon and a Lord’s Prayer plus ten Hail Mary’s are begun. The prayers along this ‘tail’ are said for the Pope’s intentions, as leader of the Catholic Church. Note: It is common these days, for Catholics to also include a little prayer between the Glory Be at the end of one decade and the Lord’s Prayer at the beginning of the next, which the Blessed Virgin Mary requested in the messages of her apparitions at Fatima, Portugal (which included a dramatic miracle of the Sun, which was witnessed by 70,000 people, including atheists and hostile media reporters). Oh my Jesus, forgive us our sins; save us from the fires of Hell. Lead all souls to heaven, especially those most in need of your mercy! .Some Protestants calculate that the ratio of Rosary prayers to God and to the Blessed Mother in the Rosary, in some way gives more honour to Mary and less to God. Well, that might be the case if they were in any way equal, but we are not cheering for two football teams here, are we? We are honouring God in the first place, and in the words Jesus gave us; and while addressing Mary as an Archangel and family member also addressed her in Scripture, we are requesting the prayers of Mary for our intentions before God. This insight into the efficacy of asking Mary to intercede for us to her Son, Spouse and Father, is based on the understanding that God thinks so highly of Mary (God is with you, O highly favoured – blessed among all women) that He will not refuse her if she asks for anything, as evidenced at Cana during the wedding feast. So why not ask for the intercession of the Blessed Mother? “Mary is God’s garden of Paradise, His own unspeakable word, into which His Son entered to do wonderful things, to tend it and to take delight in it. He created a world for the wayfarer, that is, the one we are living in. He created a second world – Paradise – for the blessed. He created a third for Himself, which he named Mary." Yes, we can go directly to God with our prayers and we do - and God responds! But God’s Justice before the cloud of witnesses may allow His response to be on a different scale if His Mother asks on our behalf, since: James 5:16 "… The prayer of the righteous is powerful and effective". In the light of the context of much of this Mary’s Heel website regarding the role of the Blessed Virgin Mary in the end times battle against Satan, and also the insight that she gives to Father Cestac when she dictates the August Queen prayer, that prayer is a condition for us receiving grace from God, then it may be understood why so much emphasis is placed on the Rosary as a powerful weapon against evil, throughout the recent history of the Church. According to Mary’s role in God’s plan, and God’s condition that we must ask in order to receive graces – then for us to ask Mary frequently to approach God on our behalf, allows God’s Justice to release great graces for mankind, especially against evil. Mary is a champion representing mankind, with a special role to crush Satan, who has brought mankind so much suffering and sorrow. In Revelation 12:13 we find the great red Dragon not fighting with the Son, but with the Woman. "And when the dragon saw he was cast down to the earth, he pursued the woman who had brought forth the male child." Jesus is immediately snatched up to Heaven and seated with God before the dragon has any chance to do battle with Him. (Revelation 12:7). Satan then goes away enraged, to make war on the rest of her children.No wonder Mary asks repeatedly in all her many apparitions (still occurring) for us to fast and pray the Rosary. Other Bible translations of Genesis 3:15 are different - why? In Genesis 3:15 in the Douay Rheims English version of the Bible and all older Catholic versions before 1966, God says to Satan: "I will put enmities between you and the woman, and your seed and her seed: she will crush your head, and you shall lie in wait for her heel." But some Bibles differ in their version – we explain here the error. There is a variation in Biblical translation that can be recognized in the passage from Genesis 3:15 concerning whether or not it is the woman, or her seed, that will crush the head of the serpent. 2. Plural or Singular ‘Seed’ So the object of “the former” can only be either the Woman or her seed. If we consider “the former” as referring to the "seed" then the word used for ‘seed’ is the plural word ‘zeh’-rah’! This is same word used elsewhere in the Bible to refer to Abraham’s ‘seed’ being as numerous as the stars – the children of Abraham. Genesis 3:15 And I will put (H789)6 enmity (H342) between (H996) thee and the woman,(H802) and between (H996) thy seed (H2233) and her seed;(H2233) it (H1931) shall bruise (H7779) thy head,(H7218) and thou (H859) shalt bruise (H7779) his heel. (H6119) KJB+ Strong’s Bible Dictionary (Highlighted reference numbers for 'seed' in Genesis 3:15 refer to the same word “זרע “ zera‛ (zeh'-rah) in Hebrew) It is clear then, that the Hebrew word ‘seed’ ( “זרע “ zera‛ ) is not a singular object. Therefore, only the Woman can be used as the singular object. So “the former” which the Scripture is referring to, is the Woman – as St. Jerome translated it in the Vulgate. It is more of a linguistic stretch to try to force the (plural) ‘seed’ of the woman to be a "specific singular" - than it is permit "the Woman" to be the "specific singular". 3. Singular Options in the Sentence The context is that there is an enmity between the Woman and the Serpent - and later in the sentence, only a singular, not a plural entity can rightly be translated to ‘crush your head’. Since there is no singular masculine person available in the 'former' sentence, the choices are 1) the Woman, or 2) all of her combined offspring designated by the term "it". To presume that Jesus - ‘he’ - is the ‘seed’ in this sentence, requires us to overlook the plural nature of the word being translated. This would try to suggest "Jesus" as the singular identity ‘he’ who is to "crush" the head of the serpent, when the word used for ‘seed’ is a plural word. This is making a ‘leap’ of translation which cannot be justified. It is an irresistible and rational explanation, to prefer what St. Jerome chose to do - which is to presume that: The one specific "singular" (the Woman) refers to the other specific singular (your head) i.e. "She” (singular) shall crush “your” head (singular) - and “you” (singular) will strike at “her” (singular) heel. This translation is not only acceptable linguistically, but it simply makes more sense given the context of the passage. There is an enmity between the serpent and the woman established and the mutual aggression is between those two. One must simply ask the question: if an enmity is established, which it clearly IS "between the woman and the serpent" - who is the prophesied victor?? The answer is the Woman! The enmity between the seed of the woman, and the seed of Satan, is in fact, only a side note. To change the victor of the enmity between the woman and serpent - to be the seed of the woman, simply does not logically follow. The obvious translation would be: "I will place enmity between you and the woman, and between your children and her children. She shall crush thy head, and you shall strike at her heel." Obviously Jesus certainly saved humanity by his Redemption and so now intimacy with God both on Earth and in Heaven, is now available to us - but this is not the crushing humiliation of the head of the serpent, which is implicit in Genesis 3:15. The crushing of the head of the serpent is more than "making right” the damage caused the Serpent and is a different kind of action. The Serpent is not humiliated by Jesus - who in the account of the battle of the End Times, was immediately "taken up to God and to his throne” before the Serpent/ Dragon ever has a chance to even do battle with him! (Rev. 12:5) However - Satan immediately goes away to "make war on the rest of her children." These are the children of the Woman. Nowhere in the Book of Revelation is there any reference to Jesus doing battle with Satan --Satan is never even given so much as a moment to do battle directly with Jesus . Instead, the battle is immediately begun with: "the rest of her children." So - who is the one who crushes Satan's head? - The only singular object that the Scripture could refer to is the Woman. it’ places the meaning of the sentence in poor context? We know that there is no contest when it comes to any conflict between Jesus and Satan. We also know that Jesus came "to destroy the works of the devil" (1Jn.3:8), but notice the dramatic effect on Satan when Mankind begins taking authority over demons, in the Name of Jesus: " The seventy returned with joy saying 'Lord, in your name even the demons submit to us!' He said to them: 'I saw Satan fall from Heaven like a flash of lightening. See I have given you authority ... over all the power of the enemy" (Lk.10:17-19). God seems to have willed that Mankind will be the cause of the final defeat over Satan - in His name, and the special gifts given to his Mother Mary because of her maternity of Jesus, have equipped her to be the Mother of the Church, the Mystical Body of Christ, and to lead us in the crushing of Satan's head finally. Mary is not taking any credit or glory from her Son Jesus by this, but since the Dragon has spent the history of Mankind making cruel war on "the rest of her children , those who hold the testimony of Jesus". God seems to consider it fitting justice that Mankind be the final defeat of the Dragon, or Satan by God's grace. Mary is the Blessed Mother of Jesus and a created woman but that is how God seems to want it to be. It would appear that more than 1,600 years of Catholic translations were correct and it is modernist influences that have changed things in the last 50 years - inaccurately it would appear? Do members of the Network meet up? 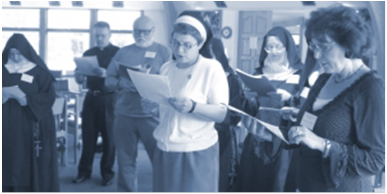 The design of the Network of Intercessors is such that anyone, in their own home or a group can be an active member, without too much difficulty or effort – just making an effort to say two prayers each day. God pays close attention to prayer said in our private lives. It is hoped that in the future, there will be sufficient interest to consider organising training events relating to expectant Prayer. It would also be good for people to meet occasionally and feel a sense of identity and ‘belonging’ to this broad Network across the land. In the meantime, the Latest News bulletin board on this website will be kept up to date and notices of events related to Prayer and Intercession will be posted. What is Spiritually Maturity for Christians and the Peace of Jesus? 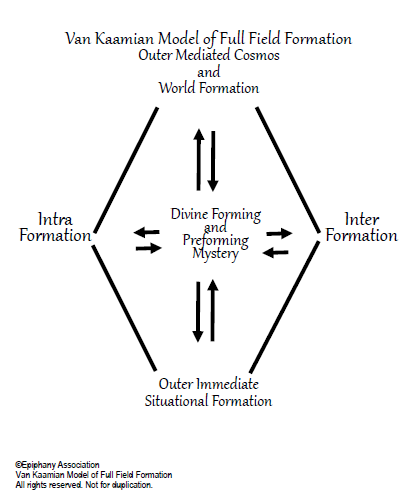 This article describes a ground breaking Science that establishes an interaction between theology and psychology , in a new and distinct body of work called Formation Science. This article outlines how its initiator, Father Adrian van Kaam, saw the ‘missing link’ between these two fields of study, demonstrating how faith forms us and how spiritual maturity, likened in many classics to spiritual union with God, may be attained. This exciting science much needed for these times has been developed over the past seventy years by this Catholic priest and other colleagues, notably Susan Muto PhD. A course delegate reports on this timely gift for the Church by which Christians of different denominations find a unifying language and experience, of intimacy with God and a profound peace and joy filling their lives – despite life’s trials. As an observer of life, have you ever wondered why some people seem to find mature and inspiring faith in God and to enjoy a life of contentment and peace, despite life’s trials? Have you ever wondered why it is that the poorest people in the world, with the greatest hardship, often have the strongest faith? And, coming perhaps nearer to home, why do children of good Catholic parents with comfortable lives, so often lose their faith? (Hopefully they find it again later, possibly after a painful learning curve?) As we read in the Book of Revelation (3:17): For you say, "I am rich, I have prospered, and I need nothing." You do not realize that you are wretched, pitiable, poor, blind, and naked. Then there are the nominal, lukewarm Christians who have some faith, but who are still afflicted by fear, anxiety, and stress as if they had almost no faith. The brambles of life seem to easily strangle their tentative faith: “So, because you are lukewarm, and neither cold nor hot, I am about to spit you out of my mouth” (Revelation 3:16). Then, of course, there are the many Christians whose faith grows steadily throughout their normal lifetime of knocks and tears, becoming more Christ-like in the process. What we are pondering about here, is: how does the gift of faith form us and how does it mature? In order to answer these questions, I have found it useful to have a map to some understanding of what is happening in people when they are walking their life journey of faith, something that could be accurately applied to each unique individual at different moments? Welcome to Formation Science! God created in all of us a deep desire for peace and harmony in our lives, despite the difficulties with which we may begin life; despite the injustices done to us during life; and despite the mistakes we make and the influences surrounding us. This peace and harmony amidst everyday life comes from a mature faith, or, as the Church Fathers refer to it from a desire for, Spiritual Union with God. As Augustine wrote: ‘Our hearts are restless until we rest in God’. How exciting it is then that a rigorously researched science has been developed in the Catholic Church in recent decades, which maps out how faith is formed in us, and how it strengthens in us as we become more spiritually mature. The research and establishment of Formation Science has been seventy years in the making and much research has been done by its founder and co-workers – mainly Catholic students and teachers - during these fruitful years. It was developed primarily by a Catholic priest, Fr. Adrian Van Kaam, CSSp, PhD, (1920-2007), who was initially intrigued by the dynamic of faith amongst his oppressed community in Holland, during the atrocities of the Second World War. It was then, as a young priest, that he decided there must be a scientific objectivity to how faith works. The science is comprehensive and soundly based on Catholic foundations of the Church Fathers, on Holy Scripture and Dogmatic teaching. After centuries of study in Theology and in Psychology as two separate sciences, to understand how they actually combine and interact seems like finding the "missing link" at this juncture when the Christian Faith is under widespread attack and so many are searching for meaning. “It has already been pointed out that the Christian of the future will be a mystic or he or she will not exist at all. If by mysticism we mean, not singular parapsychological phenomena, but a genuine experience of God emerging from the very heart of our existence, this statement is very true and its truth and importance will become still clearer in the spirituality of the future.” The Practice of Faith p.22 – Karl Rahner (Emphasis added). Increasing intimacy and intuitive dialogue with God, who lives in us as tabernacles, has been a rich and, in some cases, life-transforming experience of those touched by the Charismatic Renewal. Such knowledge of God, self, and others is available to the rest of the Church also. In my humble opinion, the Formation Science of Fr. Adrian van Kaam is an exciting ‘pearl of great price’ since it objectively studies and applies the dynamics and structures of how we interact with God and our environment, including: our inner selves; our social history; our surrounding people and situations, and our perception of the world – all in a potentially constructive or destructive way. To realise the immanence of God is very comforting! To believe that God has a unique plan for each of us; that the circumstances of our birth, with its social and historical influences, is part of a deliberate tapestry God weaves for us, is reassuring. Similarly to realise that other aspects of our unique ‘self’, like our vital dimension – with our particular tendencies and personality; and our functional dimension – with our individual talents and traits, are all intentional and unique to us as individuals, is a great comfort. God has not made a blueprint of what we are to become; He has placed into us an outline of possibilities that we can always return to even after falls and failings. We also have a transcendent dimension, the aspect van Kaam identifies as distinctively human! The transcendent dimension of our being means that we are always restless to consider the ‘More Than’ in any situation. No matter where we find ourselves on life's journey, we are always hungry to look beyond it; to look for ‘More Than’ whatever and wherever we are at present. God inspires us, especially in this dimension, so that all the other aspects of our lives: the social/historical; the vital; and the functional need to be subordinate to the transcendent dimension for us to find peace and contentment. If you like, we should always be considering the other aspects which make up our lives, through the lens of the transcendent – a lens of our spirit through which God gives us aspirations and inspirations beyond our present situation! In today’s world, it is common to hear the phrase ‘human development’, but this requires and implies that we need to somehow shape ourselves! Such a viewpoint leaves out the spiritual dimension. The phrase ‘human formation’ is more accurate since it allows for the influence of spirit and God in our lives. As the psalmist says: “Search me, O God, and know my heart; test me and know my thoughts” (Ps. 139:23). Noticeably, amongst the main cause of the absence of faith in many people’s lives these days, is an emphasis on the functional dimension of individuals; it is most dominant in our world. This is the aspect which should give order to our life and to our capacity for choice and reflection, along with our individual skills, talents, imagination and memory. However, without being under the control of the transcendent dimension of our ‘selves’, we may ask questions like: What’s in it for me? What can give me satisfaction? How can I be in control? Incidentally the need for control severely interferes with the free-flow of graced formation in our lives. We also we see extremes of the vital dimension with strong inclinations towards: What feels good? Only my desires count! And, of course, addictions and compulsive behaviour are prevalent! Extremes of the socio-historical dimension are also widespread without being under the control of the transcendent, particularly—a need: to be in current fashion; to be accepted; to be successful (e.g. celebrity idols); to have the best car / biggest house; and to conform to peer pressure. To repeat: all the functional, vital and socio-historical dimensions of our personalities must be the servants of our transcendent dimension and thereby be integrated and in balance or else we lose our peace. Another useful insight from Formation Science, is to realise that we are always in formation – we are always being formed and forming others. Everything that we do has an effect (parents take note!) No matter how old we are, we are always giving and receiving form. If we stumble or fall, therefore, we can get up and go on. Being conscious of God’s immanence, Formation Science encourages us to ‘listen to life’. To be able to see God’s voice in our family, in work and in times of difficulty is a powerful means of recognising the meaning and intention of our lives. Fr. van Kaam, realised that all the spheres of influence on our lives can be described by visualising ourselves as a ‘Field of Formation’. This field has four main spheres of influence, all placed under the loving control of God, as the Mystery of our Formation, or the ‘Divine Forming Mystery’. Intra formational sphere – Teresa of Avila described our inner life as an Interior Castle – at the centre of which we meet God. This is the place of our remembering; imagining; knowing and deciding. Inter formational sphere – People influence each other. Parents, siblings, grandparents—all form an integral part of who we are. The same goes for work colleagues and individuals—even strangers on a plane. This sphere can be a challenge, but it can also be the greatest opportunity for meaning and wholeness. Immediate situational sphere—The here-and-now community around us, including career influences and professional contacts is influential as well. Wider World sphere—This influence, though beyond our control, still affects us, e.g. fear mongers on TV and various crises around the globe. All the dynamics of the field that we are interact with each other constantly. Inspection of the van Kaam model of life, with its spheres of influence, which shape our life and affect our spiritual formation, makes clear that we are not created to exist alone. Van Kaam insists that our call as individuals is not only unique but also communal. Together, with others, we are in conversation with an ever-changing world – a world that we are to be formed by and which in turn, we also form and hopefully transform into the body of Christ. To grow in spiritual maturity we need to listen to life – all of life; we need to hear God’s voice addressing us in everydayness. If this depiction of life as whole and holy sounds more or less straightforward, we have yet to mention the dimension of our beings which spoils our peace and contentment so quickly – what van Kaam calls the “Pride form.” The pride form is very deceptive, it reduces us to thinking that we are capable of achieving our own potential. ‘I am the master of my fate—I am the captain of my soul’. It is that part of us which seeks to place ‘Self’ instead of God, at the centre of the Field of Formation, that we are. The pride form refuses to trust God in every providential circumstance of life; it seeks to protect our ‘self’ by our own modes of mastering, often at the expense of love and charity. In practice it continues to veil our eternal call for intimacy and union with God; it encourages us to rebel against our Creator. The pride form also encourages us to measure ourselves by status and achievements. The significance of the different spheres influencing our lives is that we must live in consonance or harmony with all that comprises what we do day by day. Where there is an area of dissonance in our lives, we must recognise and address it, not deny it. With both head and heart we need to hear what is consonant or dissonant in our lives. The Christ form within us allows us to recognise and understand what is out of tune and to reform it with the help of God. We are called to listen to and obey God in the midst of our everyday existence with our whole heart, mind, and will. In this way we grow in and through the events that happen to us along life’s journey. Our deepest heart’s longing is for consonance—that is, for harmony between all the parts that comprise the whole of our life. Therefore, our journey entails a continual harmonising of the different spheres of our formation field as different events occur. Occasionally we experience some life crisis like a death; unemployment; a heart attack or similar occurrences. Such events can be formative; they beckon us to consider the meaning of life, from a spiritual perspective. Van Kaam calls this happening a transcendence crisis. Among the effects of such an overwhelming event there is both danger and opportunity. To dwell on the ‘danger’ aspect, is the more deformative option, stirring up the waters of dissonance and depreciation, whereas to see it as an ‘opportunity’ is by far the more constructive option for our formation. While we are actually enduring the crisis, however, we often experience ambiguity of attitude and swing between the deformative and formative options. The reason that the ‘danger’ option is deformative is that we are likely to believe that we have been abandoned by God—this option causes a destructive sense of depreciative abandonment. To see things as an ‘opportunity’ is to feel ourselves capable of being abandoned to God. This response leads us to positive or appreciative abandonment, at which point we find ourselves at peace. It is typical for us to wrestle between the constructive (consonant) and destructive (dissonant) mind-sets until the breakthrough moment: when we decide to abandon ourselves to God. Jesus showed us such a moment in the Garden of Gethsemane! (cf. Matthew 26:42). Then we find ourselves in a state of relaxed acceptance, when we can apply our ‘Fiat!’, our ‘Yes!’ to God’. This breakthrough moment and the relaxed acceptance which follows, grants us a sense of the life-changing peace of Jesus and of contentment in our life journey. It is the dawn following the Dark Night of the Soul. Such a moment may only occur once, but it is life changing in our relationship of intimacy with God. Following a Transcendence Crisis it is much easier to trust God in the many little ways that make up our lives. Trusting abandonment becomes a lasting disposition of our heart. It grants us a vivid sense of God at the centre of our formation field. Those who complete the series of six courses in the Epiphany Certification Program, which is held over two years or three consecutive summers, are eminently qualified to be spiritual directors in their communities—and effective ones too, since this Science lends itself so naturally, with its scientifically robust models of the dynamic of how humans are shaped and formed, into observing and understanding life journeys and crises of faith, thereby strengthening an individual’s unity with and walk toward God. In a country like the UK where aggressive secularism is rampant and our families, children and friends are wrestling with their faith against the media attacks; where our priests are at an all-time low in morale and numbers, the study and impact of this science into our midst seems to be a God-sent gift of the highest order. I encourage people who read this article to consider attending this programme in the United States or in Ireland. The people taking ECP with me last summer included two professors of Psychology, as well as several priests, nuns and religious; Presbyterians and Evangelicals, also others who are either involved in spiritual direction, or else are interested in studying this subject for their own understanding and the advancement of those around them! As the bible says, ‘My sheep hear my voice’ and, based on my experience, all Christians seem to hear this Science of Formation and intimacy with God, as clear as a bell, without any tension between denominations.